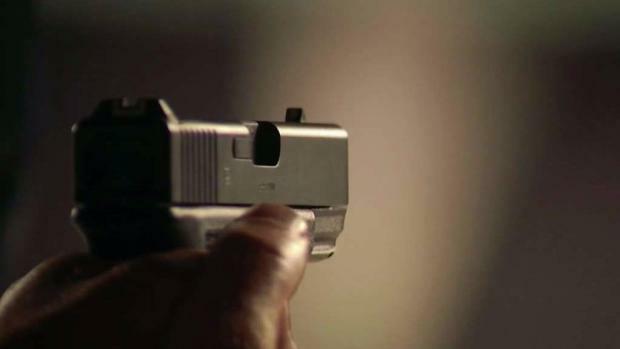 Despite some of the toughest gun laws in the country, a former gun smuggler tells NBC Bay Area that illegal firearms will continue to flow into the state as long as guns can be purchased with relative ease in other parts of the country. In fact, the wide disparity in regulations creates a lucrative market for those willing to risk running guns from one state to another, he said. “I was out in a different state, and I just saw how easy it was for people from that state to just get a gun,” he said. The former gun trafficker is now in the federal witness protection program after being arrested and testifying against some of his former associates. He agreed to share his story on the condition NBC Bay Area would not reveal his identity. The smuggler, who asked to be called Roger, said the hundreds of guns he purchased in the Midwest over a two-year period were a hot commodity on Bay Area streets, selling for three or four times what he originally paid for them. Roger contacted NBC Bay Area following a joint investigation with the non-profit journalism organization The Trace, which found more than 20,000 guns across the country that were previously reported stolen were later recovered by police in connection to crimes. But Roger said he never resorted to stealing guns because he could easily purchase them out of state. He says he made so much money illegally selling guns in the Bay Area that he gave up selling marijuana. Roger: There was more money [selling guns] and it was kind of easier. Stephen Stock: There was more money in guns than drugs? Stephen Stock: And it was easier? Stephen Stock: What do you mean by that? Roger said he would travel to a state that NBC Bay Area agreed not to disclose, where he made contacts with residents who would go into pawn shops or gun stores and legally purchase guns. Without any kind of waiting period, they could walk out with guns in hand the same day. Roger, for a small markup, would then buy those guns from the person who legally purchased them. 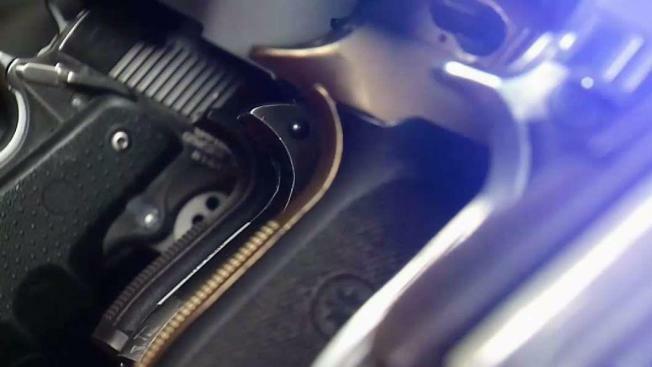 It’s a transaction known as a “straw purchase” and the Bureau of Alcohol, Tobacco, Firearms and Explosives says it’s one of the premier methods convicted felons use to get their hands on guns they’re prohibited from owning. Stephen Stock: How did you get the guns to California? Roger: Ship them, send them. Stephen Stock: Through the mail? Roger: Yeah, through the mail. UPS. However..
Stephen Stock: Did you have to pack them special, or did you just put them in the mail and ship them? Roger: Yeah, different ways. We put them in toolboxes, safes, microwaves. Stephen Stock: You put a gun in the microwave and shipped it? Duke University Professor Doctor Phillip Cook, one of the country’s foremost researchers of gun violence, says restrictive gun ownership laws in one state can create a market for gun traffickers like Roger. And once those guns end up on the streets, Dr. Cook said they can have a long shelf life before they’re ever seized by police. The wide variation in gun laws between the states can make policing gun trafficking difficult, according to federal law enforcement officials. Roger said he knew many of the guns he sold were being purchased by people with bad intentions, but the money was too good to pass up. Roger also acknowledges that some of the guns he sold in the Bay Area may have been stolen or reported stolen. Roger says he just didn’t want to know, so he did not ask about the origins of many of the guns he sold. He says he’s on the straight and narrow now. He’s holding down a regular job and is focused on raising his kids. Now, looking back on his former life, Roger says he does have some regrets about bringing guns into his own community.